Here is a salute to clients. The ones who care about how a building works and what it looks like. 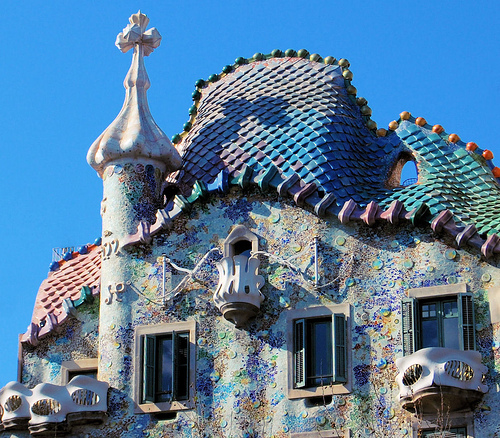 Guell owned a ceramic tile company, hence the skin. 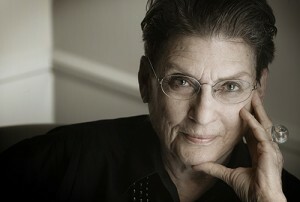 Or, closer to home, Phyllis Lambert (nee Bronfman), the daughter of the scion of the Seagram company who, at age 26, took charge of the design and construction of their landmark headquarters on Park Avenue. 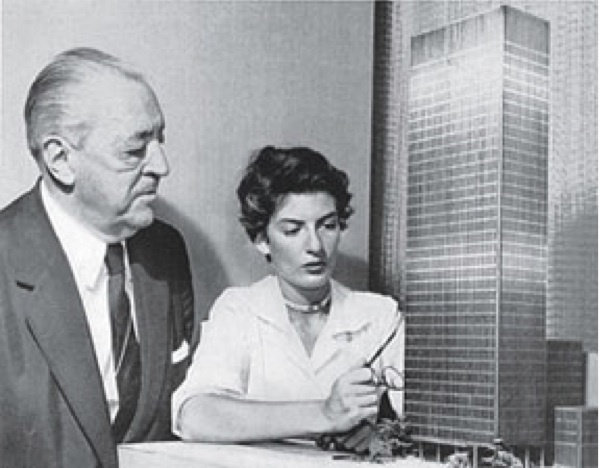 She was living in Paris, studying sculpture, when she stepped in to hire Mies Van der Rohe and his sidekick Philip Johnson, to design the company’s new headquarters. Then she moved back to NY and took a desk in their office. Her dad might have preferred something more baronial, old world and gentile. 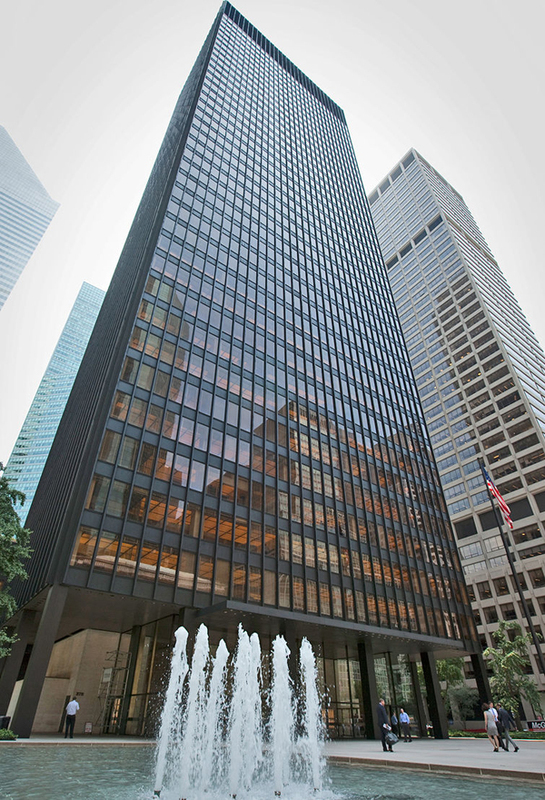 With its popular plaza, exquisite detailing, and public art, the Seagram Building is a landmark of modern architecture and urbanism. 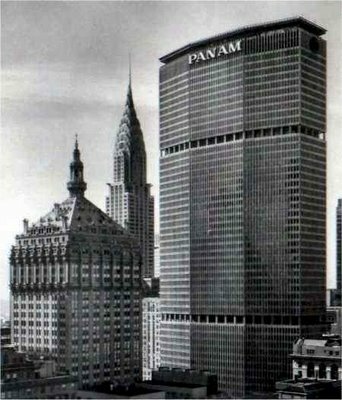 The client wasn’t Pan Am; they came in after construction had begun. The clients were Grand Central Railroad (and its shareholders), the Diesel Construction Company, and twelve banks (six American and six British). The design was by Emery Roth and Sons, with respectability provided by the more prestigious Walter Gropius and Pietro Bellushi. Everybody hated the building, then and now. 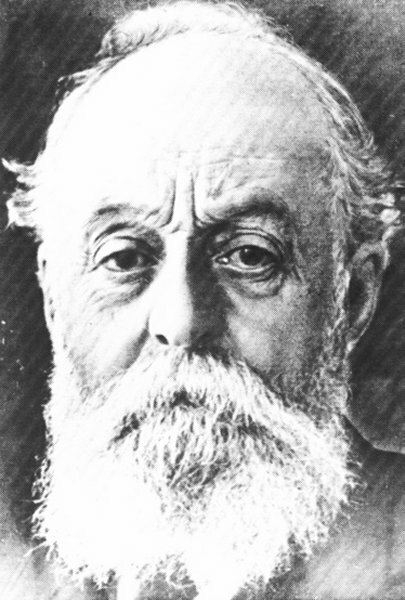 Guell and Lambert were wealthy individuals, like Frank Woolworth, who famously paid out of pocket for the 1913 Woolworth building. They didn’t cut corners on costs: the Seagram building’s skin is bronze and it was at the time the most expensive skyscraper ever built. 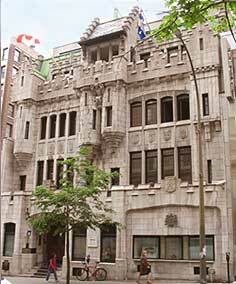 Their buildings represented them to the world. There is no more Seagram company, no more Woolworth’s and certainly no more Guell. But there are still clients. Like Steve Jobs, who famously obsessed on the design details of Apple devices, Apple stores, Apple headquarters, and Pixar studios. Most clients default to a handful of safe architects, the ones who can work with the neighbors and the planners and the investors and lenders and the clients to bring in safe buildings. But I have seen mediocre architects do good buildings for good clients – and good architects do crappy buildings for bad clients. But it is the architect who gets the credit or the blame. So a toast to the client – the bold ones, the brave ones, but most of all the caring ones. My candidate for enlightened client is Edgar J. Kaufmann who, in 1934 hired Frank Lloyd Wright and got Fallingwater, and in 1946 after moving to southern California hired Richard Neutra, who designed the House in the Desert. Both houses are masterpieces of design. Architect Louis I. Kahn stated that: “good architecture was made by good clients”.